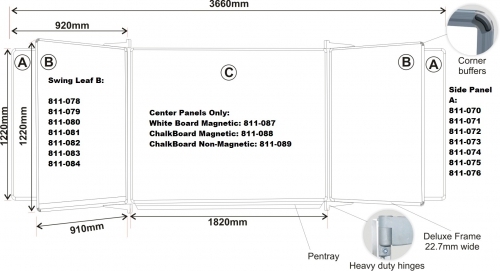 Attach this magnetic swing leaf with lines and squares to the magnetic whiteboard central panel (811-087) to create your own ideal whiteboard that fits your classroom needs. The Center Panel always comes with a pentray. That is the place where you can put your chalk and the chalkboard duster.